Visit our Music Sourced download library to find all of the free downloads we have covered on this site. Here you will find a collection of free album and singles releases by some of your favorite bands and artists! Welcome to Music Sourced! To find out more about this site, read our introductory post! Welcome to Music Sourced! If this is your first time visiting, check out our focus page that details who we are, what we're doing, and what you can find here. If you care to know more about the source behind Music Sourced, visit the About Us page. Martin Scorcese: What’s it called? With Levon Helm’s passing today, it is a good time to remember the incredible things that he has done for this genre that he considers rock and roll. Not only was he a great drummer for one of the most critically acclaimed bands to come from the 1960s and 70s, but also, a singer that was accomplished enough to be named to Time Magazine’s 100 greatest singers. For those not familiar with his work, I strongly urge you to seek out The Last Waltz dvd and give it a watch. It’s a who’s who of the music from this period, but Helm’s musicianship and demeanor on stage are a strong part of why this concert film is considered the best of all time. Helm was born in Arkansas to the son of a farmer. He later began playing gigs with Ronnie Hawkins as a teenager. After this, he formed his own band called “Levon and the Hawks”. There he met Rick Danko, Richard Manuel and Robbie Robertson who would all later go on to play behind Bob Dylan and eventually, do their own thing. They called themselves “The Band”. Levon and his band mates went on to produce a sound that can only be described as mentioned above by Levon, himself. Because of the musician’s virtuosic abilities, their sound was top notch in combining Helm’s drumming with the rest of the band in creating a sound is not heard from in today’s music that is choked with autotune and lipsynching. Levon left “The Band” after “The Last Waltz” and collaborated with many musicians during the 1980s. He came upon hard times in the 1990s, after his home burned down and was also diagnosed with throat cancer later in the decade. Helm underwent radiation and could not sing for an extended period of time. In this past decade, he regained his voice and held a show every Saturday night called the Midnight Rambles. He also released two Grammy-winning albums called “Dirt Farmer” (2007) and “Electric Dirt” (2009). Both of which I own and are excellent albums that play off of each other very nicely. Levon Helm was one of the all-time greats and if you haven’t given his music a listen, I don’t think you’ll be disappointed. With “Levon and the Hawks”, “The Band”, or his solo career, the music is so stripped down and raw, combined with excellent songwriting, that this music will get ahold of you and you’ll find yourself hitting repeat quite a few times. I, like many others, have only one thing to say: Thanks, Levon. The British folk rock band Mumford & Sons performed their first headlining show of the year last night in Nashville at the famous Ryman Auditorium. I was fortunate enough to be in attendance to see this band perform the music that made it's mark on American radio airwaves in 2011. Being only a casual fan of their music, I was looking forward to seeing this group perform instrumentally and to also experience the folk rock energy they're known to bring to the stage. If I were to comment only on those two criteria alone, I would say that I was quite impressed. Mumford certainly did the Ryman justice instrumentally since they predominantly play acoustic guitar, stand-up bass, and banjo, which is why they have staked their claim in the folk genre. But they play the hell out of those instruments, and bring a strong backing of vocals, which really gives the group their rock undertones. The show didn't play out quite as planned however as the group stated their nervousness for performing on the Ryman stage several times. 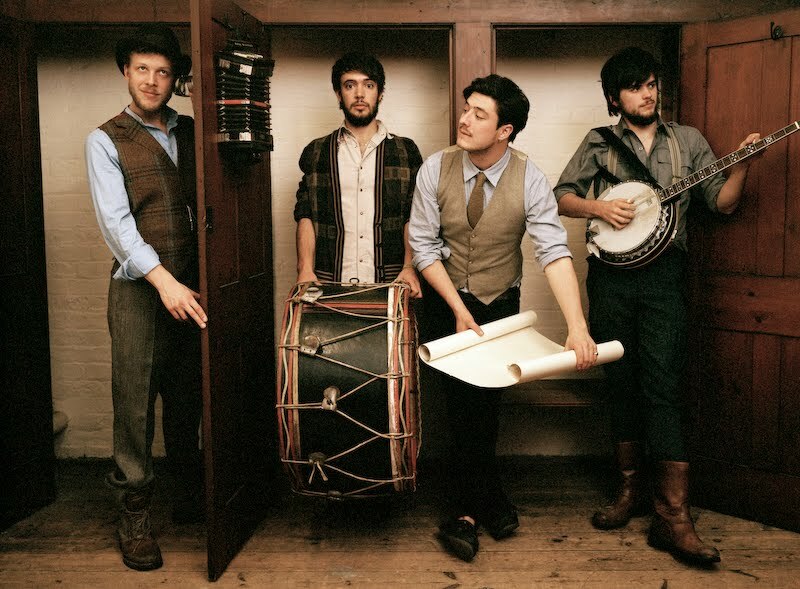 It certainly had some affect on the groups lead singer Marcus Mumford as he struggled with the lyrics as well as a bout of coughs on a few of the songs performed which resulted in the songs ending prematurely. I've never been to a live show before where the artists had to take a 5 minute break off stage to regroup during the middle of a set. Some fans were critical of this (And who wouldn't be on Music City's biggest stage) but for me personally it did not noticeably degrade the performance. I'm sure it would have had a larger effect on me if I was more of a follower of Mumford's music or I had a keen liking to some of the shortened songs. However, I personally thought the missteps made for a better connection with the crowd on hand as the group shared their personal thoughts on what its like performing live and dealing with a nervous mind. The final misstep came on the band's final song "The Cave" but it made for a nice scene as Marcus asked the crowd for assistance singing the song and the Auditorium came alive with the voices of the crowd. I was fortunate enough to record the moment and have loaded the video below. I did cut out the beginning of the song where the group stops mid-song out of respect for Mumford. The Brits voiced a lot of respect to our country as well as Nashville itself which they consider a second home so respect is deserved in return. Enjoy the sounds, and leave your comments. NOTE: Mumford played two new unreleased songs. I really enjoyed both. Look for a great second album as summer nears. The release date has not yet been announced. There's a good amount of male/female music duo's out there that are on my good music radar. I gravitate towards the contrasting vocals because it typically makes for a pretty aestheticly pleasing harmony. One of those duo's that fit this description is Jenny & Tyler. The Nashville based husband and wife duo benefit artisticly from having different musical influences/backgrounds, as well as having common beliefs and interests. 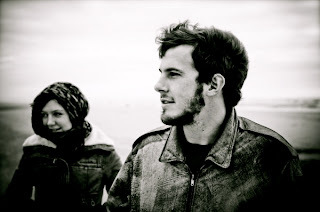 They describe their latest album release titled "Faint Not" as a "journey of faith" and an "honest telling of our relationship with the Lord and with each other". In contrast, one of their most recognizeable songs titled "One-Eyed Cat" playfully pokes fun at the couple's differences in interest and lifestyle. The end product of these similarities and differences equates in to a well-rounded musical offering that can currently be acquired for free from several different sources! If you go to the Jenny & Tyler website they have a "Free" section on their site that offers up over 20 of their songs at no cost. Including their latest album in its entirety! You can get a sample of the duo's sound by viewing their newest video for the title track of their latest album shown below. NOTE: If you enjoy playing the acoustic guitar you can also check out the "Chords" section on their site. It shows the chord progression for all of their music. A really cool offering. One that I appreciate! Happy February friends !! Ok, so maybe I'm a little late in getting that out there but it's never to late to enjoy some free music. As I was perusing through Jack Johnson's website reading about his upcoming live album (which I'm sure I'll write about when it comes out in April) I came across a free download of Jack's song Turn Your Love that they offered for free on Valentines Day. After clicking the link I was happy to see that it was still available. This version of the song features a few of Jack's more frequent collaborators Paula Fuega and Animal Liberation Orchestra playing live in Berkeley. In all truth why should you have one special day of the year to tell that special someone you love them? Getting this free track a week late may be just the help you need to get off the couch and back into the good graces of your significant other.... no need to thank us, just pay it forward to someone else that could use the healing vocals of a great lyricist like Jack Johnson. Big news coming from a band that is about to make some noise. The trio that call themselves FUN has released their first album "Aim and Ignite" as a free download. This album was initially release on August 25th 2009 and has garnered the group a good amount of fanfare for their creative music process. Fun stays true to their name with upbeat lyrics and sound, but their genre is harder to pinpoint. Drawing influences from Queen and the Beach Boys as well as channeling sounds from their previous bands (The Format , Anathallo , and Steel Train ). Fun is offering a free download of their first album in anticipation of the release of their sophomore album titled "Some Nights" on February 21st. You might recognize the first single off of this album "We Are Young" from the Super Bowl stuntman commercial for the Chevy Sonic. Check out the official music video for "We Are Young" below and use the widget to preview and download the groups first album "Aim and Ignite". Great music, at an even better price.